Springdale-based Tyson Foods continues to invest in corporate infrastructure in and and near downtown, breaking ground Thursday (May 5) on a new $31 million incubation center just east of the recently occupied former JTL shops and the ongoing office renovations on Emma Avenue in the heart of downtown Springdale. John Tyson, chairman and third generation of the founding family, said investing in downtown Springdale gives him great pleasure because that’s where he grew up. Tyson said the new 75,000 square foot incubation center will employ 35 workers and replace hatchery options on Randall Wobbe Road in Springdale and in Lincoln. Construction is expected to begin in the coming weeks with completion slated by mid-2017. The incubation center will be built with an emphasis on technology. Tyson said it plans to install robotics to assist with worker safety and ergonomics, and use the latest in ventilation and internal environmental controls. The facility will also include the latest advances in biosecurity measures to help promote better bird health. Tyson said the investment was needed because the hatchery on Randall Wobbe Road has been in operation since the 1960s and the new facility will offer all the latest updates in incubating and hatching the healthiest bird possible. The new facility will serve all the grower complexes in Northwest Arkansas. The company recently acquired the property for the new incubation center with help from the Springdale Facilities Board. 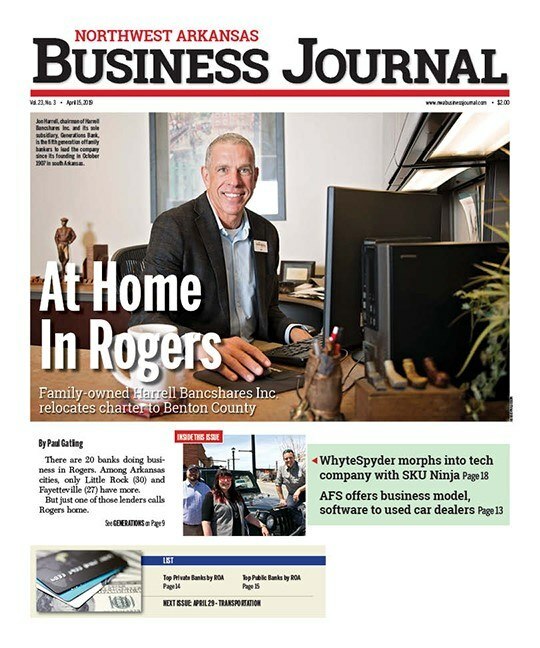 Sprouse said it is another step forward in Tyson’s commitment to help generate more excitement in downtown Springdale, and builds on the 80 Tyson employees who have already moved into their newly renovated offices to the former JTL center on East Emma Avenue. Later next year Tyson plans to complete the 44,000 square foot renovation/construction office project located at 317 E. Emma Ave., which will bring more than 200 workers downtown. “You cannot underestimate what this will mean for future retail development in downtown Springdale. Retail will follow footsteps,” Sprouse recently told Talk Business & Politics. John Tyson agreed, saying that having more 300 Tyson employees located downtown is a great way for Tyson Foods to invest in his home town. He said as a kid growing up in Springdale he used to run up and down Emma Avenue from the family farm where his grandfather John W. Tyson, the company founder, tried to scratch out a living during the depression. Tyson Foods employs more than 6,000 people in Springdale and nearly 23,000 people in Arkansas. More than 1,700 family farmers in the state to grow chickens for its operations. Tyson estimates that its operations have a $1.6 billion impact of the state’s economy.